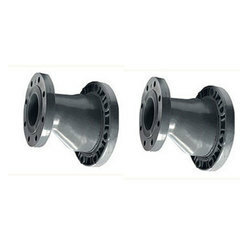 Years of involvement in this domain has enabled us to offer superior quality Eccentric Reducer. Material Grade: 304, Also Available In 304L, 316, 316L, 321, 310, 410. Concentric and eccentric reducers are produced for those applications that involve high pressure, impulse, vibration and temperature. Having exacting tolerances and precision configurations, these reducers are developed to meet the demands of industries petrochemical, power, nuclear, electronic and other major industries. 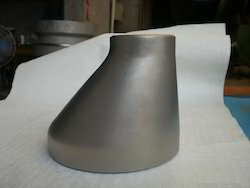 We are offering our clients with Buttweld Eccentric Reducer that are used in petrochemical, power, nuclear and electronic industries. Known for their close tolerances, these stainless steel eccentric reducers are designed with precise configurations. These reducers are ideal for critical applications that involve high pressure, impulse, vibration and temperature. Material : 304/304l , 316/316l thickness: sch10s , sch 40s size : concentric reducer 3/4"x1/2"~12"x8" eccentric reducer 3/4"x1/2"~12"x8"
- Concentric reducer: Have a central axis (center line) of the section between the large and small. - Eccentric reducer: The central axis has a different (offset) between a large section and small.